U.S. Representative Gabrielle Giffords (D-AZ) smiled at her husband this week as her condition steadily improves after being shot January 8. 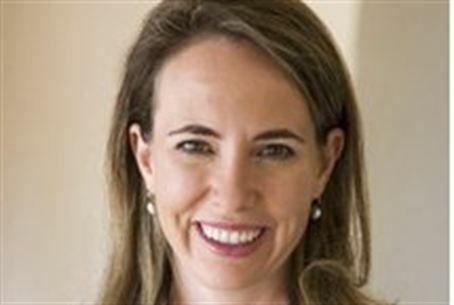 U.S. Representative Gabrielle Giffords (D-Arizona) smiled at her husband Monday as her condition steadily improves after being shot in the head at point-blank range on January 8. The Arizona Congresswoman is currently listed in serious, rather than critical condition, after having undergone three successful procedures over the weekend. Doctors performed surgery to remove bone fragments from the lawmaker's eye socket, an operation that was planned from the beginning but which had to wait until Giffords was in better condition. In addition, a feeding tube was moved from her nose to her stomach, and a tracheotomy was performed to allow the Congresswoman to breathe independently from a tube in her throat. Because of the tube, Giffords is still unable to speak. Nevertheless, the lawmaker's husband, astronaut Mark Kelly said she gave him a neck rub. The Congresswoman, who is a strong supporter of Israel, was nearly killed in a shooting spree that left six people dead and 14 wounded. The suspect in the rampage, 22-year-old Jared Lee Loughner, has been described as mentally unstable and apparently was obsessed with assassinating Giffords for years.